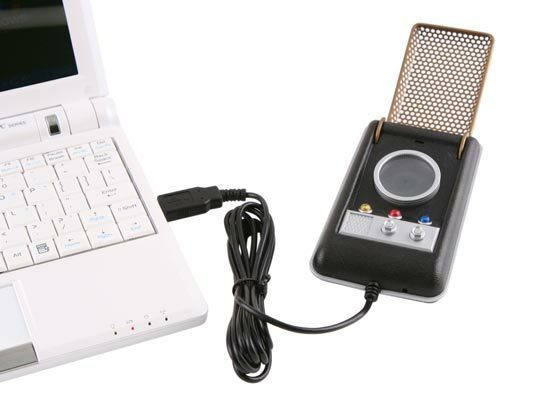 This has to be one of the ultimate gadgets for Star Trek fans, a VoIP phone shaped like as Star Trek communicator. 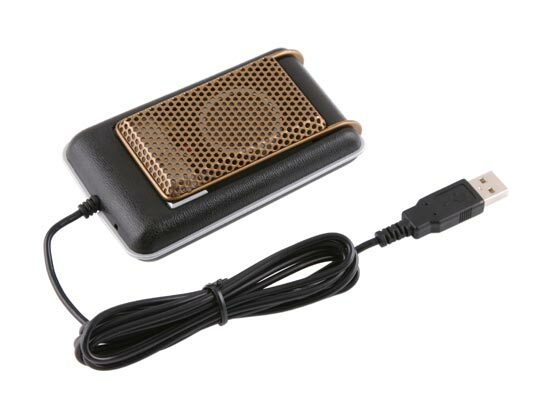 The Star Trek USB Communicator can be plugged into your PC via USB and can be used with Skype, MSN etc, it works with Windows XP, Vista and Mac OS X 10.5. Check out the video of it in action. 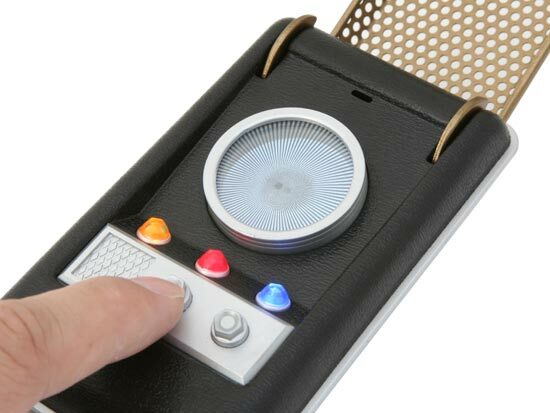 The Star Trek USB Communicator is available for $45 from USB Geek.